When i started to write this book, it was a very cold winter in Michigan. In that howling wind, ice and snow, my brain was mostly frozen. I used to buy green Peruvian coffee beans from a local farmer, who was trying to make a living in that winter. My writing ritual started each morning at around 330am. The iron skillet was slow to warm up. It took almost an hour to roast and grind the beans. Instead of writing, most of my mornings were about putzing around the kitchen for a nice cup of coffee. I am prone to addictions. What you hold in your hand is not a book, but an attempt to thaw my addictive brain. 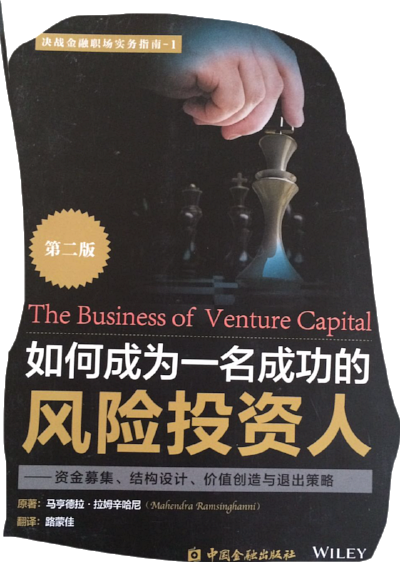 Please do not take this book too seriously - Venture Capitalists often do. Being a VC is not a career choice you should pursue. But as singer Bob Dylan says, let the chaos choose you. For many of us, the art of investing remains a somewhat mythic combination of luck, timing and skill. We really dont know how it works but we justify everything in hindsight. Many have tried their hand at VC, a few have succeeded. While the book has some frameworks for thinking, it has no secret formulas, so please forgive me if you are disappointed. If you succeed in your career as a VC, thank your stars. Thank the entrepreneurs, upon whose energy this business thrives. We are not the overlords we think we are, but merely servants of such forces.